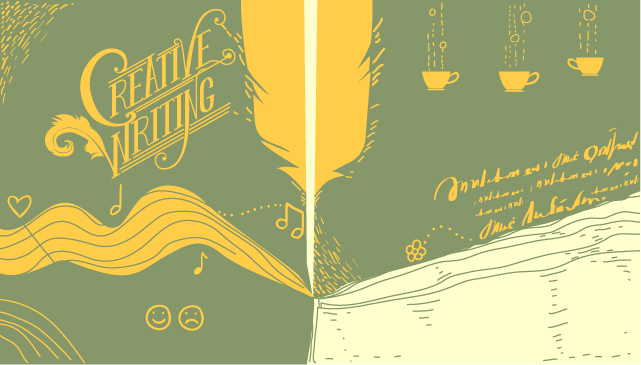 Creative writing, as a subject, primarily deals with the principles and techniques used in writing non-technical forms of literature such as poems, novels, and essays. Writing poetry is one of the main forms of creative writing. In taking creative writing classes, you’ll typically be taught the different types of poetry (those that tell stories, those that chronicle complicated adventures, those that explore the poet’s thoughts), standard poetry structures (how many lines should be in each stanza, how many syllables should be at each line, at which part should rhymes be introduced), and the different ways poetry can be used including how to tackle important social issues. Screenplays contain the dialogues that actors in a movie are required to deliver as well as other miscellaneous instructions that they are required to follow while performing a scene. When making screenplays, students are typically taught how to come up with ideas for a story, how to introduce characters, how to build up tension, and how to effectively end it. Also included are guidelines on how to write acting instructions on the script, factors that need to be considered when working on a script such as budget and time, and how to ensure that your script will sell once it’s done. People typically see songwriting as something that comes naturally — the result of a sudden stroke of genius that eventually leads to bestselling albums and sold-out concerts. In reality, songwriters typically follow a predetermined process (writing the song, copyrighting it, submitting it to music distributors, promoting it across media platforms) when writing songs. These, as well as industry standards that songwriters are expected to live up to, are some of the things that you may learn in a creative writing class. Max Martin – Max Martin is a songwriter and record producer noted for producing a long string of hit songs from the 90s up to the present time including 58 Top 10 hits on the Billboard Hot 100 and 22 Number 1s. Some of his most popular and recent works include Katy Perry’s “I Kissed a Girl,” Taylor Swift’s “Shake it Off,” Ariana Grande’s “Problem,” Jessie J.’s “Domino,” Adele’s “Send My Love to Your New Lover,” Avril Lavigne’s “What the Hell” and Pink’s “So What” among several others. Taylor Swift is a hugely successful pop star who is known for either writing or co-writing the songs on her albums. She started writing songs at the age of twelve and won her first Nashville Songwriters Association’s Songwriter of the Year award at the age of eighteen. She eventually collected six more of the same award during the course of her career in addition to 10 Grammy Awards, 19 American Music Awards, 22 Billboard Music Awards, 11 Country Music Association Awards, 8 Academy of Country Music Awards, 10 People’s Choice Awards, and 25 Teen Choice Awards. James Cameron is a critically-acclaimed screenwriter and director who wrote and directed two of the highest grossing films of all time: Titanic and Avatar. Aside from the two blockbuster movies, he’s also behind other iconic Hollywood films such as the Terminator, Aliens, and Rambo. Juan Miguel Severo is a spoken word artist who became famous after his performance of his poems “Ang Huling Tula na Isusulat Ko Para Sa’Yo” and “Naniniwala Ako” became viral online. Since then, he has branched out to acting in television dramas (as Rico in “On the Wings of Love”) and stageplays (“Hintayan ng Langit”).